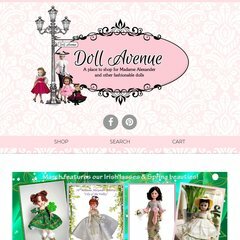 Topics: Policies, Madame Alexander Dolls, Custom Dressed Dolls, Holiday Dolls, and Vogue Ginny Dolls. The site has about 16 users daily, viewing on average 2.00 pages each. It is hosted by Liquid Web Inc (Michigan, Lansing,) using Apache web server. It has 2 DNS records, ns2.pappapak3.com, and ns1.pappapak3.com. PHP/5.2.14 is its coding language environment. PING (72.52.136.211) 56(84) bytes of data. A ping to the server is timed at 18.0 ms.